One of the main ones is BASEBALL!! Opening Day, Batting Practices, Sunflower Seeds, Spring Training, One..Two..Three.. Strikes Your Out, etc. 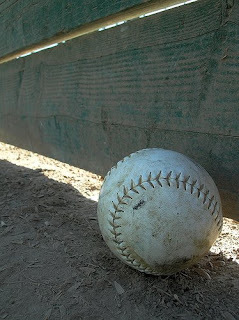 We spend countless hours every spring at the baseball field. Much like how every fall you will find us on the football field. Sometimes we get a little, you could say, restless. Time for a Photo Challenge!! I thought I'd give the old Duet Photography thing a try. To spice up our time spent at the Chatsworth Junior Baseball League. WHEN YOU GIVE A GIRL A CAMERA.